Bobby burns is one of the most inspirational artists around. He is a singer song writer who allows the music to take control of his soul, so that he can deliver it to his beloved fans in that soulful way. Bobby burns has been around for a while, His musical skills comes from his Mom and Dad. One of his main influences in his musical career comes from one of his elder brother “Lloyd Hemmings” who has been singing with top Reggae and R&B artistes around the world. Bobby Burns started singing with his brother at a very tender age of 12, working with him on a couple of shows in and around the island. At age 14 he did his first recording with a friend name “Roy” on a track titled “you give me the reason”. In 1999 Bobby Burns migrated to the United Kingdom where he continued his studies in college and continued to pursue his musical career. In 2001 he joined a group called “The Savannas”, who won a recording contract from Jet Star Recordings, which was one of the leading reggae distributors in the U.K. Between 2002-2003 Bobby burns launched his solo career while with the group still, releasing his first single titled “I Wanna Fly” which got heavy rotation on various radio stations through the U.K. Bobby Burns did several live performances, he and the group with other major reggae acts such as “The Mighty Diamonds “ at the Oceans arena alongside ‘Sugar Minott”, ”Winston Greene” ,”Lorna G” and many more. 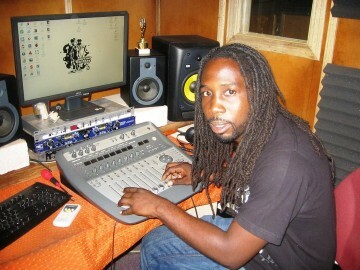 The ending of 2003 saw the completion and releasing of an album by Bobby Burns and “The Savannas” called “Youths Dem Hustling” for Jet Star recordings. In 2004 Bobby Burns, for the development of his spiritual self and his music to return to his native island Jamaica. There he recorded a single titled “Jah Made The World” with the group “Jah Children” which got rotation on the air waves. Bobby Burns has taken his career to new heights, he has been in the studio recording, and performing in and around the island. In 2006 Bobby Burns traveled to St Lucia promoting some of his singles like “Caught, Over U, Sunshine” were well received by the St Lucian public, who temporarily renamed Bobby Burns as “The Love Doctor”. Bobby Burns is now on his merry way musically and still traveling to the islands, still releasing tracks new and hot, he as now found his band called “Reincarnated Souls” doing live performances in and around the island, he as now release new tracks now on you tube called “Baby Your Mine, I am in love” and many more. Please contact us at Jack Russell Music if you would like to use any of Bobby Burns’s compositions for film, television, electronic media or covers.